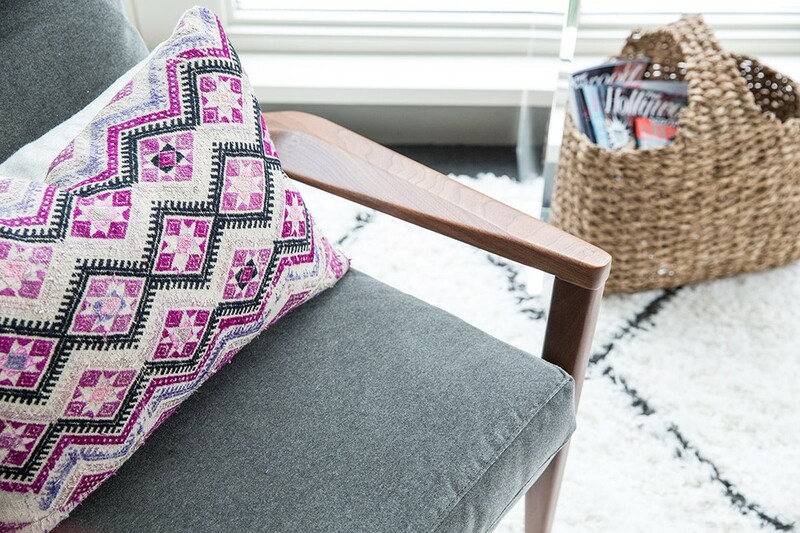 Ethnic textiles create a one-of-a-kind look. 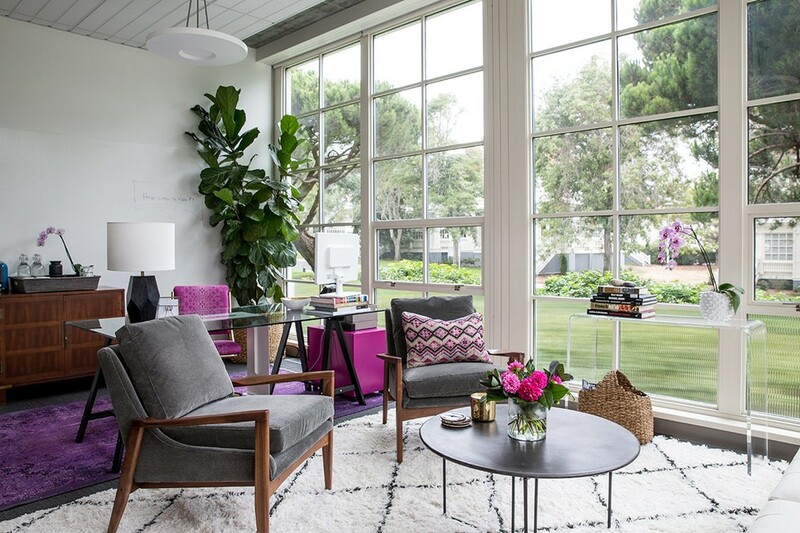 A corner office with Presidio park views? Yes please. Magazines always look good in a basket. 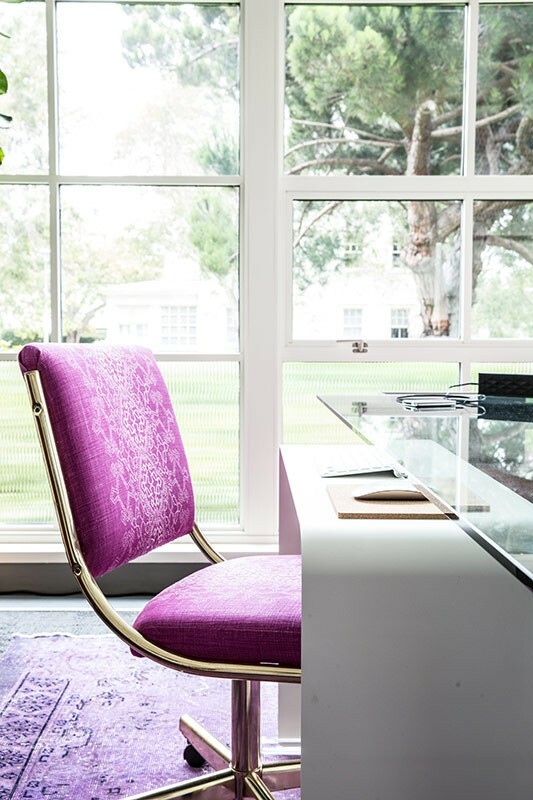 Pops of fuchsia extend from the file cabinet to the desk chair to orchids in the window. 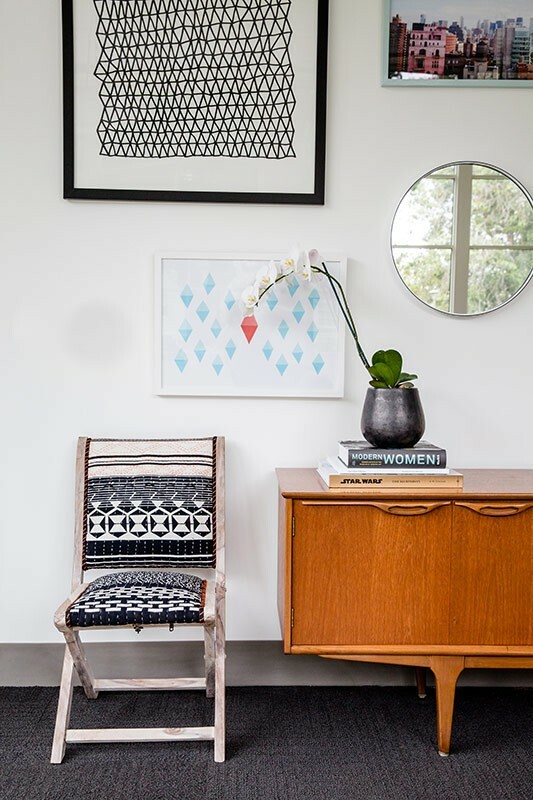 The designer had this vintage desk chair reupholstered in custom fabric. 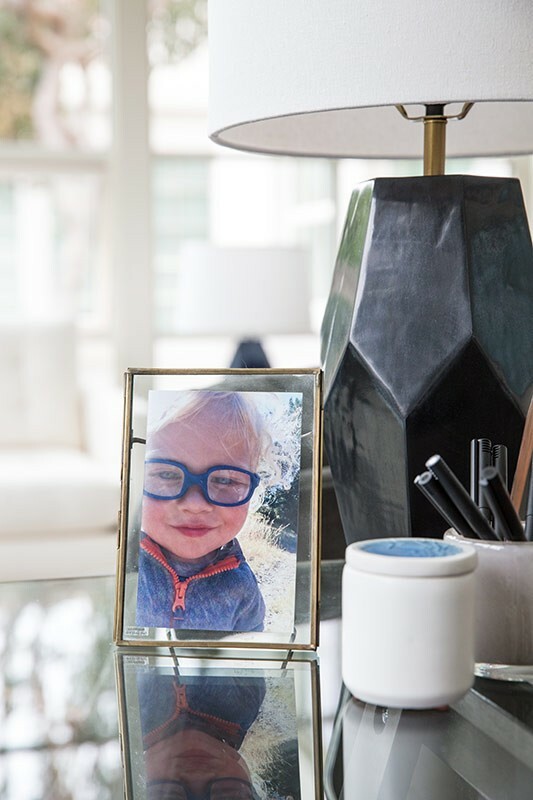 Every space needs a personal touch! The vintage credenza was sourced on Etsy. 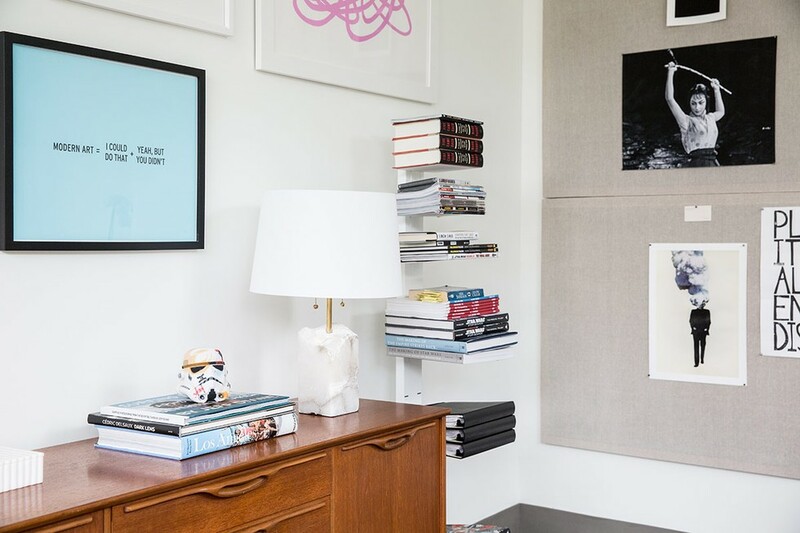 A pinboard and a gallery wall are both great ways to show off a creative exec's visual style. 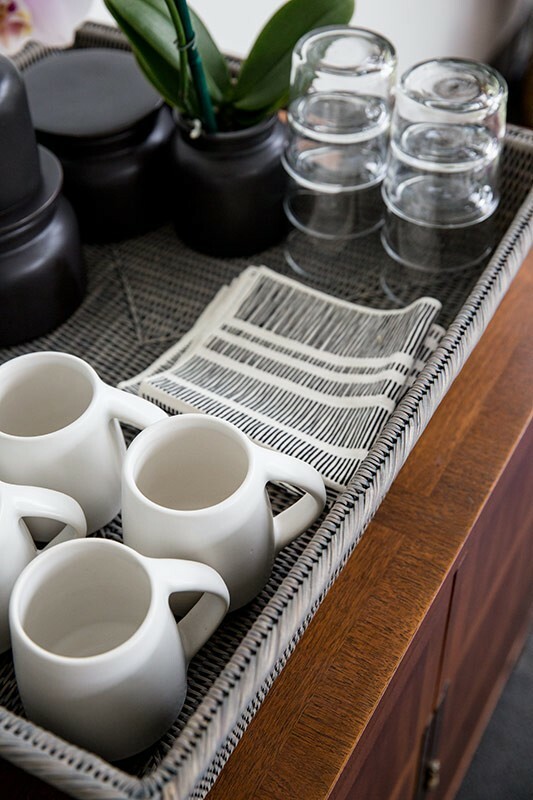 This executive's quirky style even extends through her coffee mugs. Sometimes you just need to start over. Pre-makeover, this office was all sage green and burgundy with chunky Craftsman furniture. 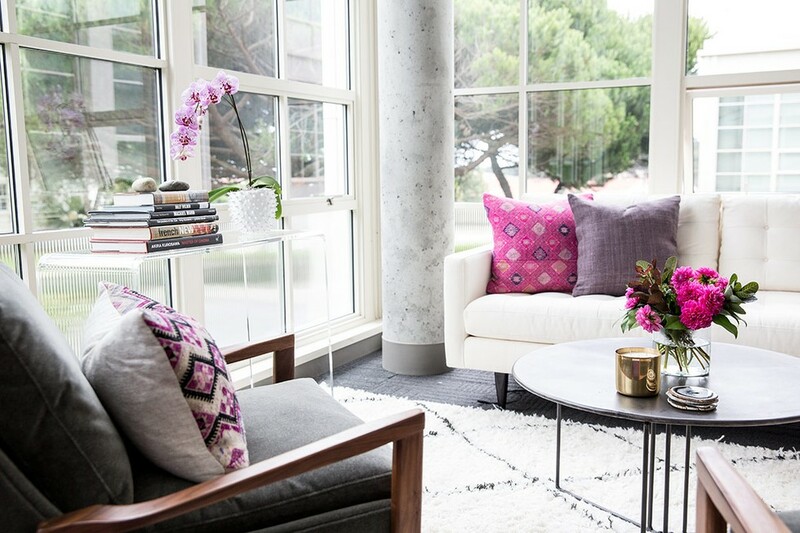 The client, an executive at a creative studio in the Presidio, wanted a mix of ethnic glam, midcentury accents, and bright color, in a fun but professional space that she would be excited to return to every morning. 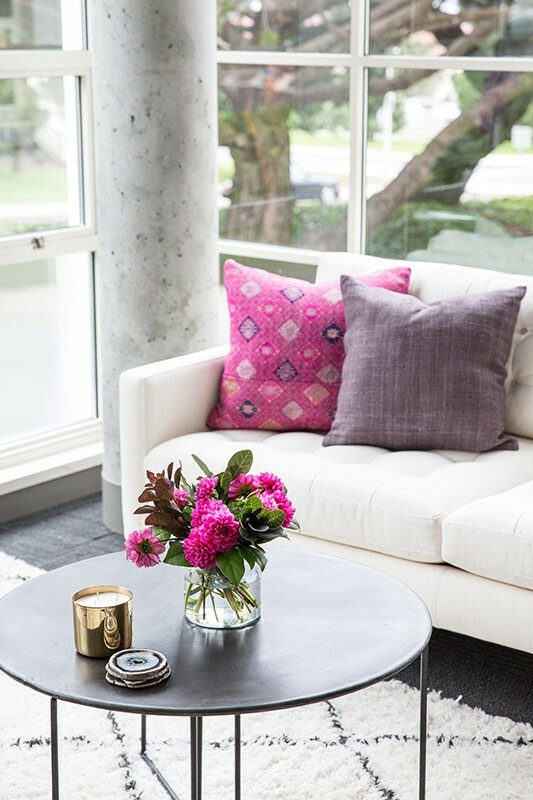 Homepolish designer Heidi Caillier used neutral notes to keep pops of fuchsia from being overbearing, and she got the lighting just right with new ceiling fixtures and a sprinkling of lamps. 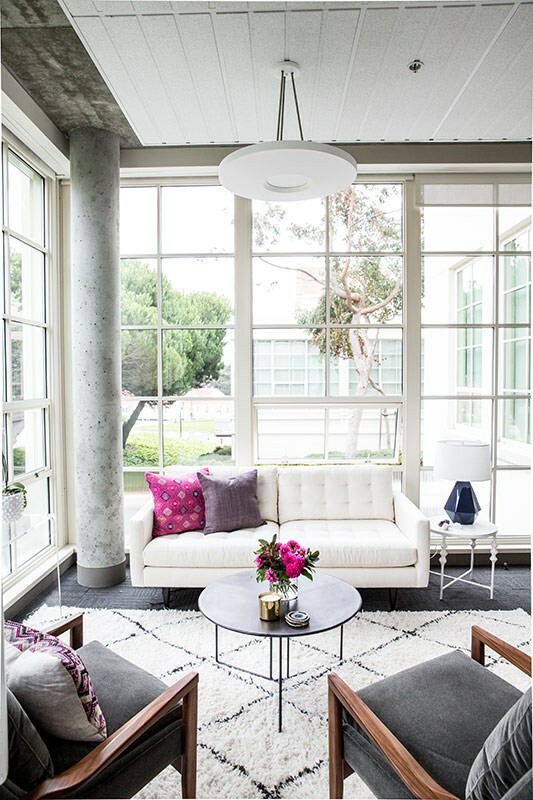 An inviting seating area, linen pinboard for inspiration images, and Ideapaint on one wall make the space just as functional as it is beautiful.